Breakfast: It was so good I had to do it again. 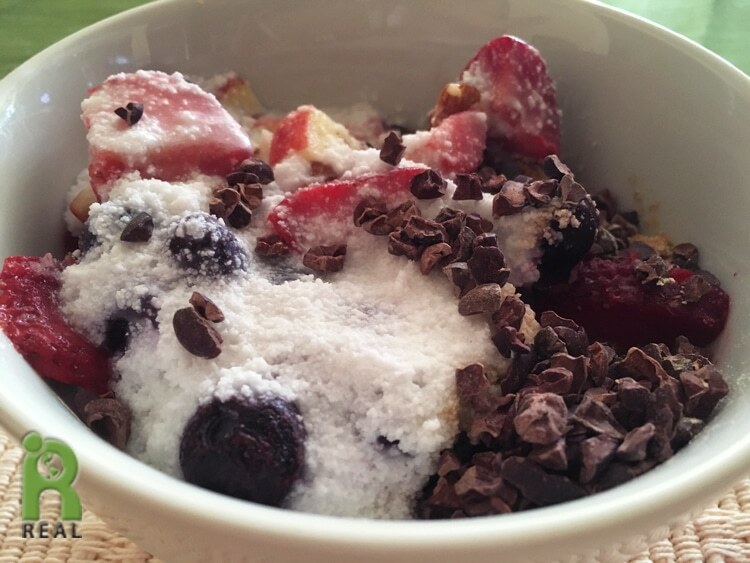 I made my new favorite breakfast – Fruity Cacao Nibs Breakfast Bowl with chopped Apple, Walnuts, Almonds, Strawberries, Blueberries, Flax Seeds, Maca Powder, Cacao Nibs, Vanilla Extract and Coconut Milk. Lunch: We will be leaving in a few days for a little vacation. Gary prepared most of fresh produce we had so that we could eat it or freeze it before we left. He steamed the Cauliflower and Broccoli, baked some Yukon Gold and Sweet Potatoes, roasted a bulb of Garlic and made a big pot of Lentil/Yellow Split Pea/Vegetable Soup. 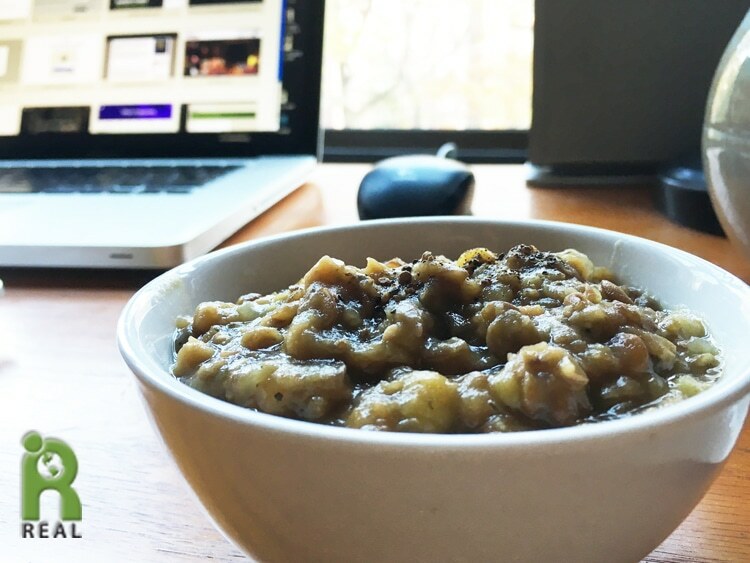 Working overtime at my desk, I had a bowl of the soup. Dinner: My sister and brother-in-law are in town from Florida. We met at Joe Allen Restaurant. This place has been around since 1965! Gary gave us a little history, saying that all the theater posters hanging on the walls there were from shows that flopped! It’s nice to be remembered somewhere. 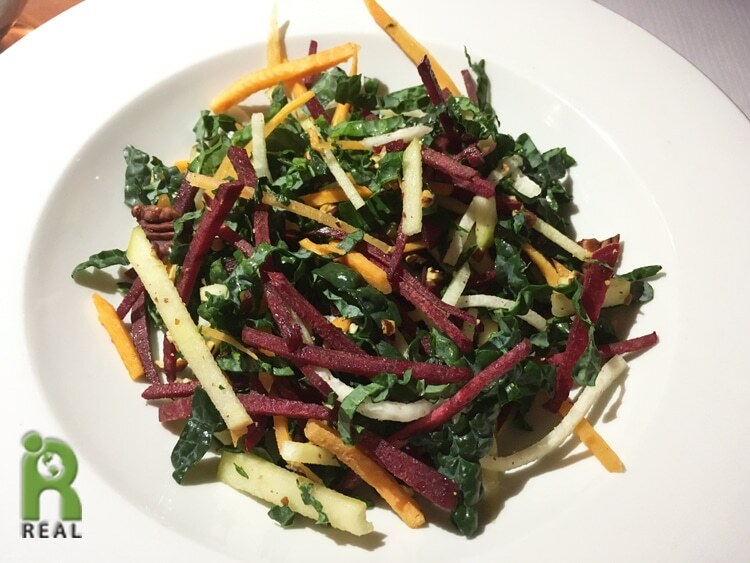 I was not very hungry and I ordered the Root Vegetable Salad with julienned Beets, Carrots, Jicama, Kale, Apple, Pecans and Ginger Vinaigrette. 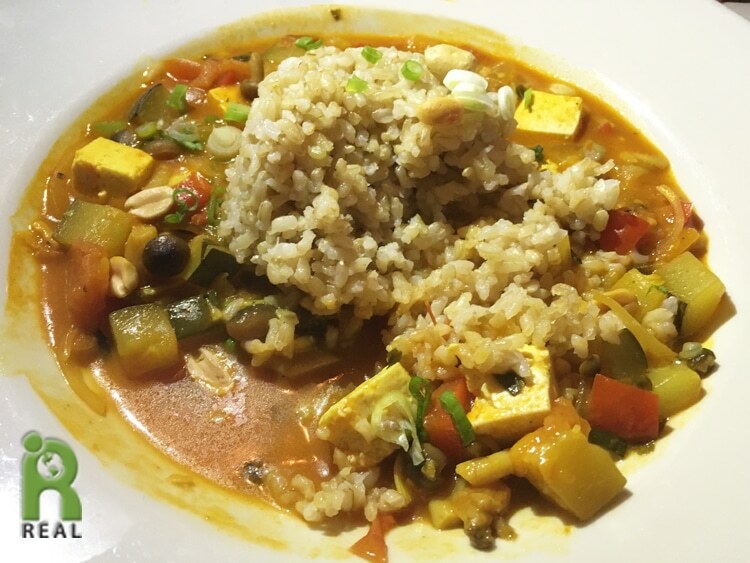 Gary ordered the Thai Vegetarian Stew made with Tofu, Brown Rice, Peanuts, Red Onion, Zucchini, Mushrooms, Tomato, Peppers, and Scallions. Evening: Gary and I went for a walk after dinner in Manhattan since the weather was delicious and unusually warm for October. When we got home I was hungry. I dug into the food Gary had prepared earlier. 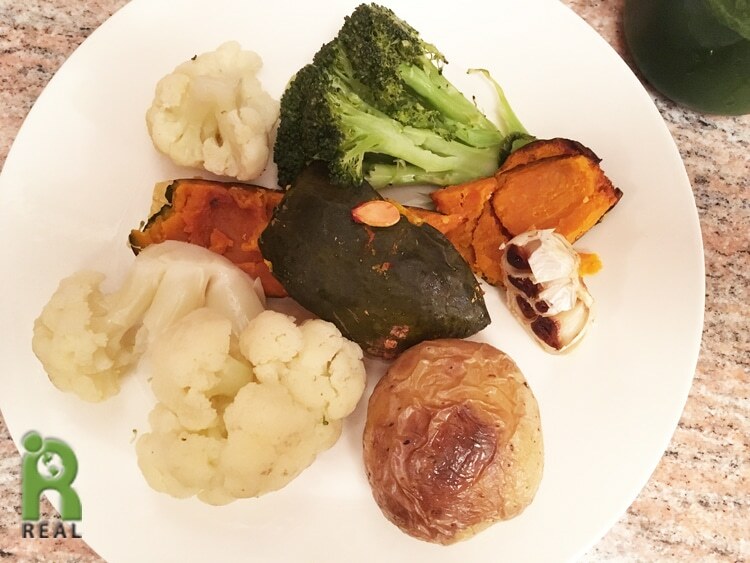 I made a plate of Cauliflower, Broccoli, Potato, Squash and Roasted Garlic. Afterwards we had Mint Tea.